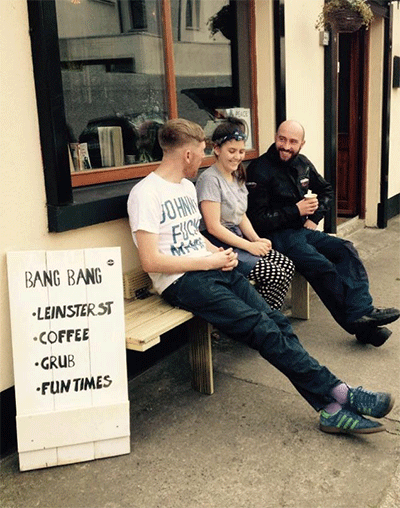 In late 2015 brother and sister Daniel and Grace opened Bang Bang, named after the famous Dublin street character whose real name was Thomas Dudley. Both had seen small independent stores whilst living in Australia and New York, and thought, “we can do that”. 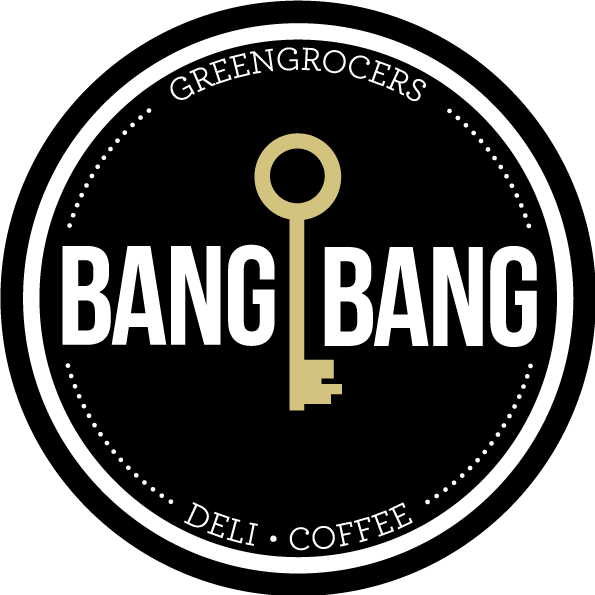 We knew we wanted to have an off street location where people could relax and bring their kids and dogs, we knew we wanted to have vintage clothes to browse through, and we knew we wanted to have amazing food and top coffee. But we also wanted it to be different, it had to be fun and relaxed, and it had to have good tunes and it had to be a nice place to be. There was one thing that was more important than all. We had seen most stores, large and small, stock products from all over the world, products that could be found locally, and whilst globalisation has it benefits, we don’t believe shipping goods from one side of the world to the other is one of them. 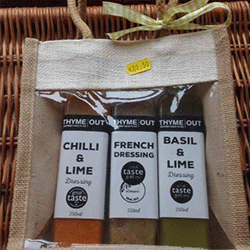 We wanted the products we put on our shelves to be the best products from as local as possible. We wanted to concentrate on localisation over globalisation. You can read more about this in the products section. 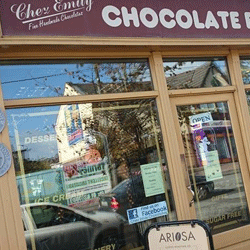 Beautiful chocolate from Chez Emily in North County Dublin. 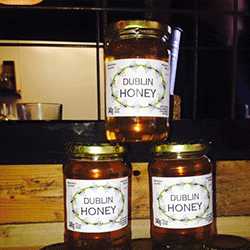 Dublin honey from Keith, a bee-keeper with hives in the Strawberry Beds. 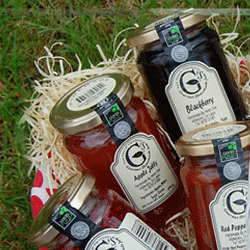 G’s range of jams from Helen in County Laois. 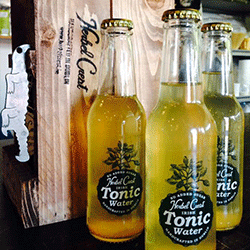 Herbal Crest drinks made by Gerry in Kings Inn Street Dublin. 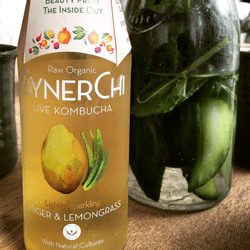 Synerchi kombucha drinks made in Donegal. 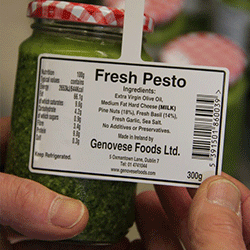 Genovese Pesto handmade in Stoneybatter. We serve a range of sandwiches using breads from Arun Bakery in Oxmantown Lane. Our sandwiches are available on a plain sourdough or on Dark Rye breads. We also serve a daily salad and soup, organic porridge and homemade granola, and our brunch pastry. 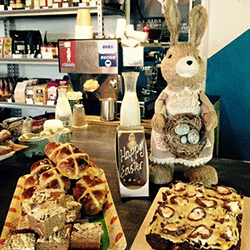 Cakes, muffins and other treats. On Saturdays and Sundays we serve our, by now almost legendary, Brunch Burgers. Stop by and eat one, we’ll say no more. For vegetarians and vegans we have plenty of options apart from salad and soup. We make our own vegan burgers each morning and they’re absolutely delish, and we have a vegan wrap too and plenty of vegan friendly treats. 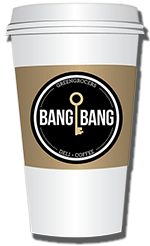 Finally, our coffee, which has been voted in the top 10 coffees in Dublin in 2016, is not to be missed. We use Silverskin coffee which is roasted by our friend Brian less than a mile away in Glasnevin. 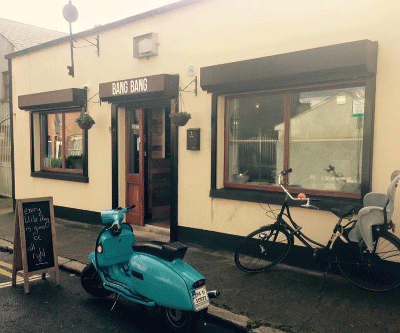 We are located on North Leinster Street in Phibsboro just off the Phobsboro Road. It’s a beautiful residential street lined with homes built in the 1890s. You can practically see the floodlights of the famous Dalymount Park from our door which we love!